It is time for the #ChocolateParty! Do you know what the #ChocolateParty is? 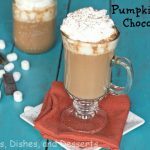 The first Monday of each month we post a recipe that uses chocolate, and a themed ingredient we are given. For November Roxana challenged us with cranberries. Last month it was pumpkin. If you are interested in joining, just let Roxana know! I am not a huge fan of cranberries, so I wasn’t sure what to do for this month. But then I remembered dried cranberries, those I do like. I was in the mood for chocolate chip cookies, so I figured this was the time to play with cranberries to see what I could come up with. 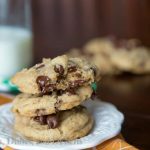 These cookies are based on the Chocolate Chip Cookie recipe I have been making for ever. I swapped out the regular chocolate chips for white chocolate. I added in the cranberries, and decided to change up the extract to almond extract. 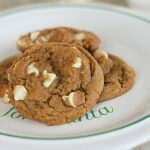 I love almond extract, but have never used it in cookies like this before. These were a huge hit. I brought them to my sons school, and the teachers loved them. They were soft, chewy, and the almond extract worked really well with the white chocolate and cranberries. 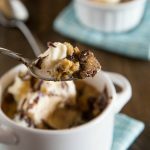 They definitely were a fun twist on the regular chocolate chip cookie. 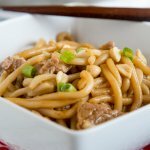 Don’t miss all the other great recipes the group made below. Next month we will be back with chocolate and mint for the holidays! 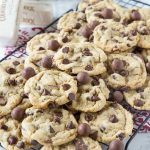 A twist on the Chocolate Chip Cookie - White Chocolate Chips, Dried Cranberries and Almond Extract make these cookies wonderful, and perfect for fall! In the bowl for an electric mixer add the butter, shortening, sugar, and brown sugar. Beat until well combined. Mix in the eggs and almond extract. Add the flour, baking soda, and salt, mix until just combined. Using a spatula fold in the white chocolate chips and dried cranberries. Scoop golf balls sized balls of dough onto a baking sheet. Bake for 9-11 minutes, until just set. Allow to cool for a few minutes on baking sheet, before removing to a wire rack to cool completely. Mmmmm…we were on the same wavelength today, Erin…I’ll have to try yours, too!!! They look marvelous! I loved that you switched out the extract for almond, gives this cookies a completely new flavor! Can’t wait to give them a try! I love the white chocolate and cranberry combination! 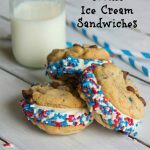 Great idea to use almond extract in these! These cookies look so good, Erin! These cookies look delicious!! Great idea to toss in the almond extract! Yum! I simply adore white chocolate, way more than milk or dark chocolate! Love the almond extract! These cookies look outrageous, Erin!!! Love these cute little fall cookies! Great flavors! These look so wonderful! I love the combo of super rich white chocolate with the tart of cranberry. Nice cookies 😉 Love that we thought alike on this one! 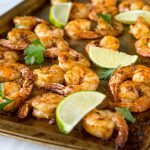 These look simply sooooo tasty! White chocolate and cranberry are such a natural pairing. Lovely! Love these cookies, I’m a big cranberry fan so these sounds wonderful to me. Oooh! 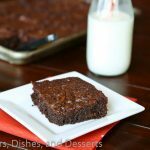 Another chocolate party recipe! I love it that so many participants to the party, yet not one dessert is alike! Tells me there are lots of options out there and lots of talented bakers who present these options very well. Yours included! 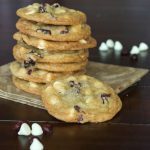 Mmm…white chocolate and cranberries is a match made in heaven and these cookies look so beautiful and chewy! 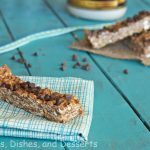 I love that you added almond extract too – I’m sure it rounded out all the flavours perfectly. 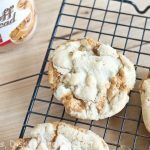 I love your twist on these cookies! I like that you used almond extract and no vanilla at all, I bet they taste fantastic! Last week I made cranberry bliss bars with cran & white chocolate- I need these cookies next! love the combo! 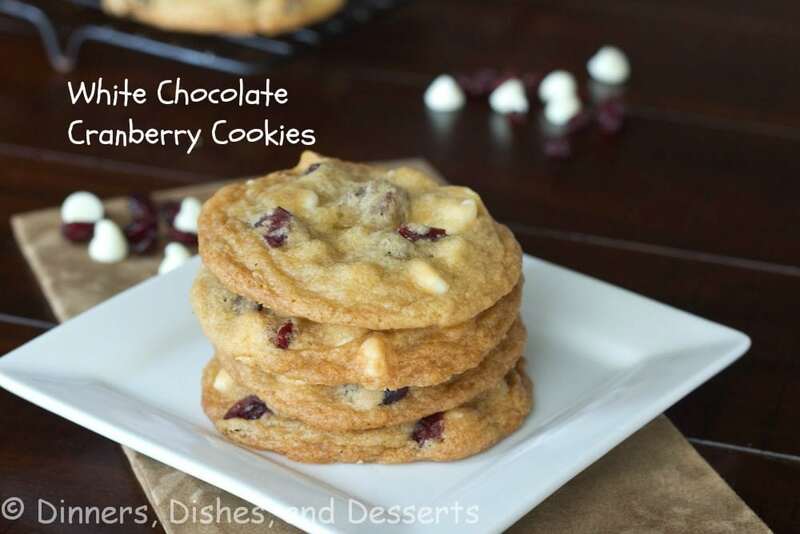 chocolate and cranberry belong together-especially in these fantastic cookies! 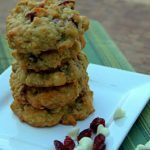 I do love cranberries, but I really love them dried as well 🙂 And I really love this combination for a cookie! 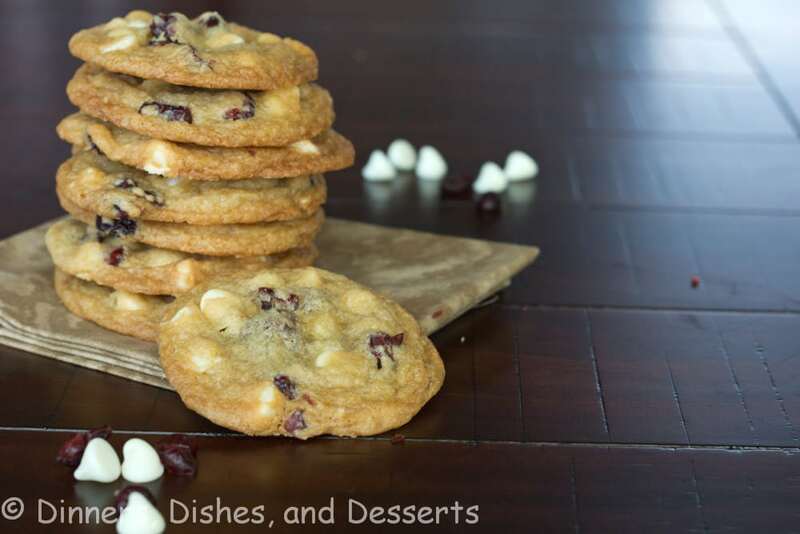 White chocolate and cranberries together in a cookie sounds like heaven. 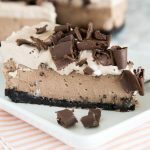 i don’t use white chocolate enough in my baking and this looks like a superb way to use them! 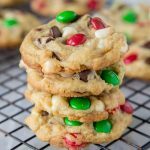 Love the white chocolate and cranberry combination and great idea to use almond extract instead! 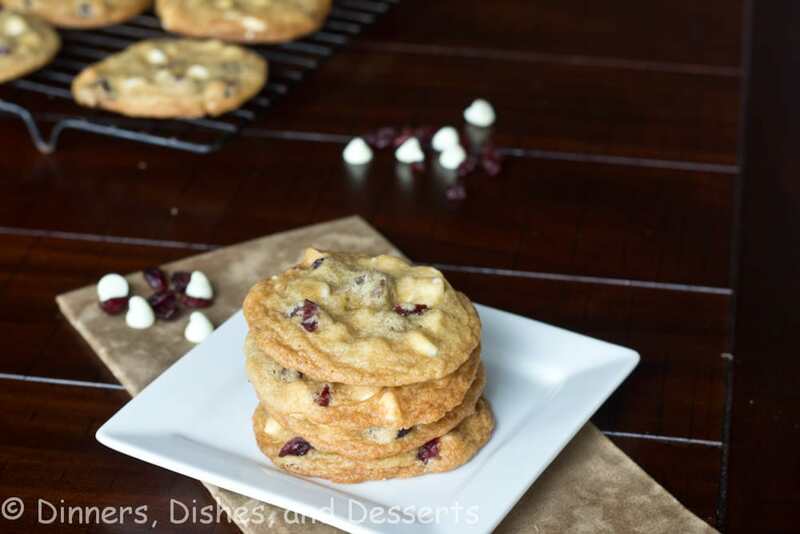 Love white chocolate and cranberry cookies. One of my favorite combos! How many cookies does this make? I can’t wait to try them. It makes 3-4 dozen depending on how big you make them. 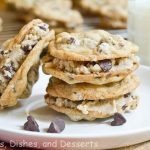 Similar to a typical batch of chocolate chip cookies in amount. Hope you enjoy!